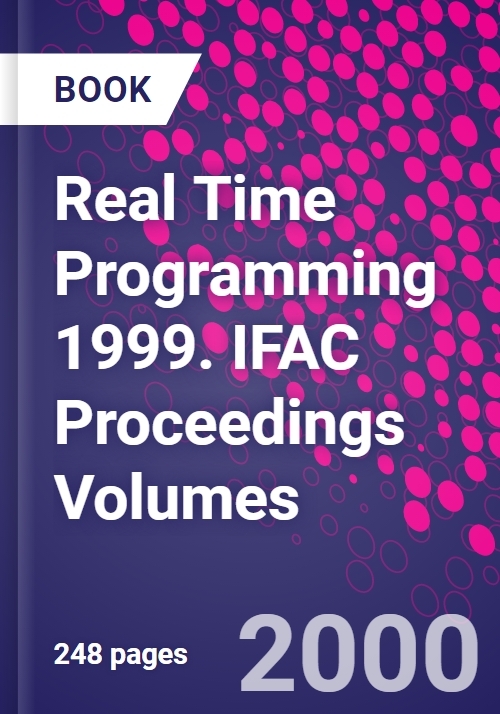 In 1999 the IFAC/IFIP Workshop on Real Time Programming (WRTP) joined forces with the Workshop on Active and Real-Time Database Systems (ARTDB). Both series of workshops provide an excellent forum for exchanging information on recent scientific and technological advances and practices in real time computing, a field that is becoming an essential enabling discipline of both control engineering and computer science and engineering. The annual Workshop on Real Time Programming and the bi-annual Workshop on Active and Real-time Databases Systems are intended as meetings of relatively small numbers of experts in their fields taking place as truly international events. The 1999 Workshop maintained the outstanding quality of both series, providing an opportunity to assess the state-of-the-art, to present new results, and to discuss possible lines of future developments. Primarily, it focused on software development for real time systems, real time operating systems and active and real time database systems. In particular, the technical programme of the Workshop covered latest research and developments in requirements engineering, software engineering, active and real time database systems, communication and clock synchronisation, embedded systems, formal methods, operating systems and scheduling. Out of 58 submissions from 19 countries, the International Programme Committee selected 26 regular papers and 8 reserve papers for presentation at the Workshop. Contributions come from Europe, North America, Australia, and the Far East. In addition to these, the programme also featured two world renowned keynote speakers, and a discussion panel about the state-of-the-art in the field of active real time database systems. a software engineering point of view (A. Ro&bgr;kopf, T. Tempelmeier). Active and Real Time Data Base Systems. Towards a general real-time database simulator software library (J. Taina, S.H. Son). Communication and Clock Synchronisation. Experimental evaluation of high-accuracy time distribution in a COTS-based ethernet LAN (U. Schmid, H. Nachtnebel). Embedded Systems and Case Studies. Hard real time controller: a case study. Formal Methods. An analyzable execution model for SDL for embedded real-time systems (J.M. A´lvarez et al.). Operating Systems and Scheduling. Using timed automata for response time analysis of distributed real-time systems (S. Bradley et al. ).